Life is just a little bit easier when your hair is frizz-free. You have enough to worry about, let your hair be the least of it. Gorgeous locks? You can have it! 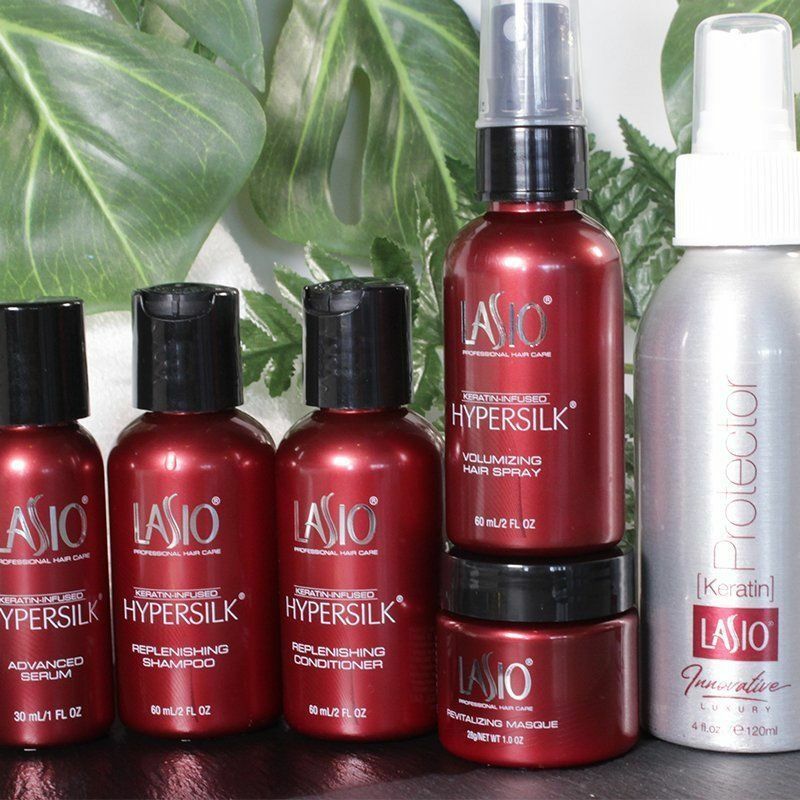 With LASIO KERATIN TREATMENTS & KERATIN-INFUSED HYPERSILK HAIR CARE, treat yourself to beautiful hair and luxury products. When it comes to Lasio Keratin Treatments the difference is as clear as H2O, scroll down to explore more. Lasio Keratin Treatments are water-based spray-on formulas that contain the lowest levels of formaldehyde on the market. Keratin Tropic is noted as being one of the best formaldehyde-free keratin formulas and is the choice of many top salons and stylists. Lasio Keratin Treatments produce a lightweight finish while also hydrating, repairing, and protecting hair strands. Our keratin treatments deposit keratin, along with gentle conditioners, into the hair cuticles which are then sealed to lock in moisture and produce a natural shine. Lasio Keratin Treatments allow for a comfortable salon environment while still delivering amazing results. We put the safety of the stylists and clients first. 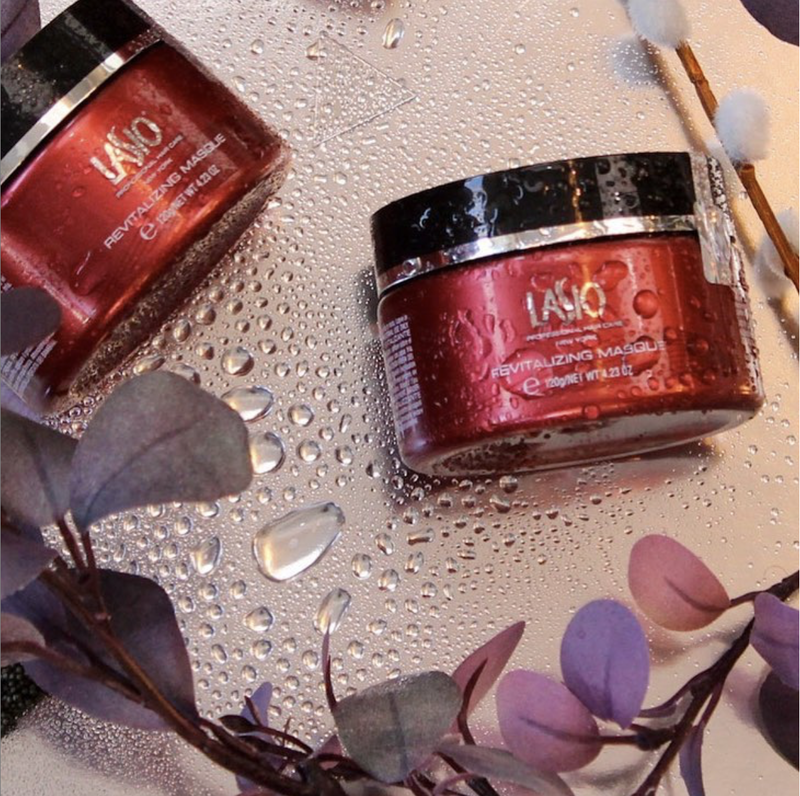 Whether a travel adventure, hair color change, or trying something new, Lasio is here for you. Check out our color adventure and post gym workout look below. 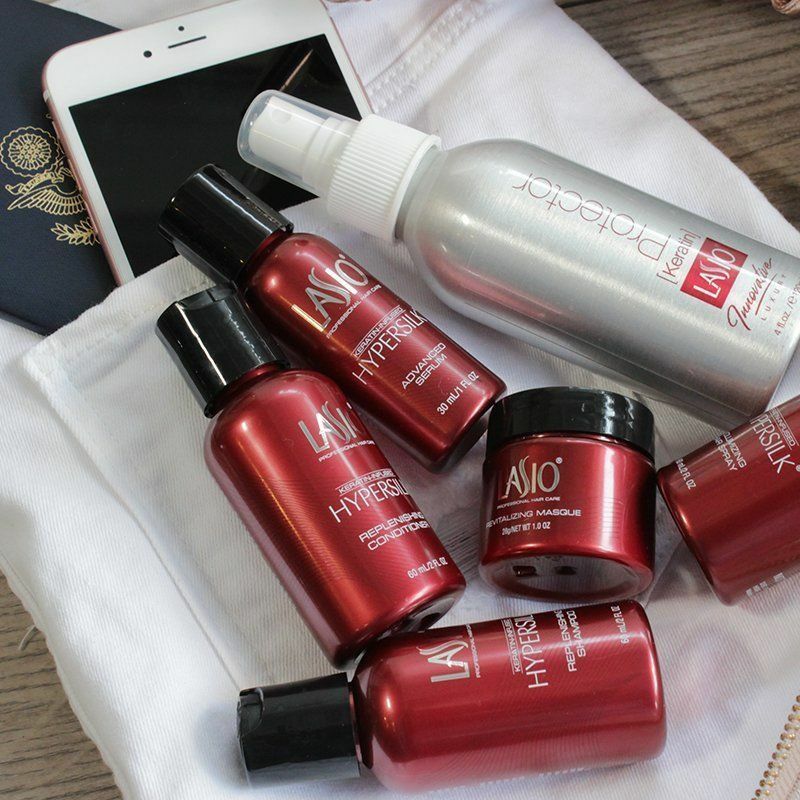 Take Lasio on your spring adventure and live life frizz free. Hair tips, trends, product tips, and achieving the hair of your dreams. Check out our blog articles to learn more about achieving and maintaining healthy hair.